"There's nothing more dangerous than a resourceful idiot." thanks for asking vic...yeah he likes the car...but...he like many american kids he likes and drives a honda civic...he wants me to finish the car and just give it to him...right, wrong. 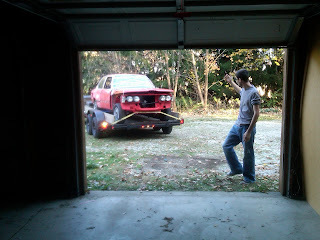 i got so much out of working with my father...and i want that for him too...my daily driver is a toyota pickup...so.